Stuart became an engineering cadet with Stolt Nielsen at age 16 and was one of their only two UK cadets. Stuart completed his apprenticeship and then worked on the Stolt chemical tanker fleet world-wide as an engineer until June 2016. He was involved with preparatory audit work at the SCMS prior to being appointed as CEO. 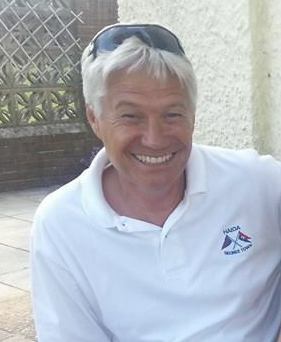 Nick has many years experience within the marine industry including being Chief Surveyor of the Cayman Islands Shipping Registry and working for many years as a Principal Marine Surveyor with the Martitime and Coastguard Agency (MCA). He works part-time for the SCMS as a Technical Advisor and Auditor. Petar has worked with the SCMS since June 2016 and is involved in all aspects of the company's accounts. He has been responsible for streamlining the finance processes for the SCMS and in bringing about effective and transparent management of the Society's funds. Petar is also partially responsible for the administration of the membership of the Society. Tom was appointed to the SCMS team in September 2018 and is primarily responsible for the day-to-day administration of the Society's Certifying Authority activities under the direction of the CEO. Tom is an enthusiastic graduate who enjoys providing excellent customer service and takes great pride in working efficiently and effectively. Kerry was appointed to the SCMS team in July 2018. She has previously worked in several companies and as an army officer dealing with training provision and standards assessment. She is keen to share her skills and experience to further broaden the opportunities provided by the Society.